Our emphasis in mathematics is more than factual mastery. We allow children to conceptually understand the multiple facets of mathematics. Math manipulatives and math centers in every classroom provide a hands-on approach to learning. The Math Workshop Model is used in all grades from Pre K-5. Language Arts is part of the math program and great emphasis is placed on critical thinking skills as well as problem solving. Probability, statistics, and graphic representations are also taught. Teachers offer instruction in a small group setting that fosters the learning of mathematical concepts and provides enrichment. We have a math cluster teacher. Professional Development is provided to our teachers who use the latest mathematical techniques. 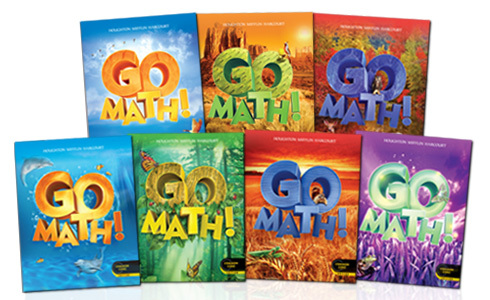 The Go Math Program is used for students in Grades K – 5.